Causes of Hives - Hives Causes - What Causes Hives? What are the causes of hives? If you've got a bad case of this itchy and annoying rash, or even worse, chronic hives, you'll want to learn more about what causes hives so that you can avoid them. Foods, prescription medications, infections, disease, reactions to chemical irritants and even stress can cause hives. 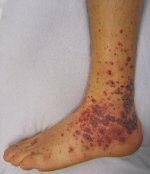 While there are limitless environmental and life factors that can cause these red, itchy, raised bumps. Most hives fall into three categories of diagnosis. Causes of hives are typically idiopathic, immunological or non-immunological. Idiopathic breakouts cannot be attributed to any known cause. These bumps often appear out of nowhere. In some way, the body is reacting to some form of allergen but the cause remains unknown. Often, these rashes or hives will go away as quickly as they manifested. Immunological causes of hives are linked directly to an immune system response. Histamine is released into the blood stream and hives appear. Non-immunological hives are caused by the same release of histamine from mast cells, but there is no other immune system response. When looking at the causes of hives, food and environmental allergens are often the most common causes. Food allergies can cause internal reactions like diarrhea and difficulty breathing, when foods are ingested. However, hives can also appear after ingestion or if contact with the skin is made. Environmental hive causes can range from smoke to pollen. These allergens are present in the air and contact can cause an immediate or delayed response. Some people have trouble discerning the known cause of their breakouts because the length of time between contact and the appearance of bumps is so long. Another environmental cause of hives is stress. Nearly everyone in the world feels stress at some point of time and there is very little that can be done to eliminate stress from life. Stress relief like massage therapy and aromatherapy can help to reduce the body's reaction to stress and thus the immune reaction of hives on the skin. 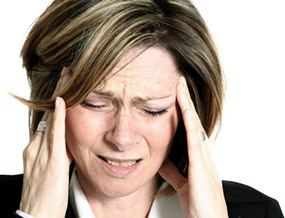 You can learn more tips for managing stress at our can stress cause hives page. Treating hives breakouts does not require medical intervention in all cases. If your skin has come in contact with some form of irritant or allergen, washing the skin with hypoallergenic soap can aid in your recovery. This removes the allergen from your skin, and so your immune system may no longer feel the need to respond. Another very simple way to treat hives is to eliminate as many toxic chemicals from your daily life as you can. This isn't completely possible, as our air and water contain pollutants that affect us all, however we DO have a choice about the household cleaning and personal care products we use on a daily basis. The household cleaning products we use are also absorbed into our lungs as we breathe in their fumes, and also by our bodies as we come into contact with them. In some cases the chemicals in our cleaning products stay in our environment and outgas, releasing chemicals into the air. In addition, all the products we use on our skin and hair, our teeth and our nails are absorbed by our bodies. You can remove a HUGE burden of stress on your body by using safe skin care products and personal care products that do not contain hazardous or irritating chemicals. You can learn more about which chemicals are best avoided in personal care products at our safe cosmetics page. Changing bed sheets and linens more frequently can also lessen recovery time, as long as you use a non-irritating or hypoallergenic laundry detergent or soap. One of the gentlest and most effective natural treatment for hives is the use of homeopathic remedies which do a great job of reducing the itching, redness and swelling, without producing the potentially harmful side effects that can result from using medications. Over the counter creams with hydrocortisone can lessen the itchy feeling often associated with hives, although this type of cream can have side effects so I don't recommend this unless you have a really severe case. You need to balance the benefits with the drawbacks of using this kind of medicine. If your skin is scratched, breakouts may spread and last longer. The hydrocortisone stops the itching so you are less likely to scratch. Alternative therapies like acupuncture, or eating a more natural diet may also help to lessen skin reactions. Whether your hives are caused by stress or food allergies, there are more natural hives treatment options that may help you to avoid future breakouts.